Margaret Zhang is a writer, stylist and photographer and documents her world travels and work on her hit fashion blog Shine By Three. 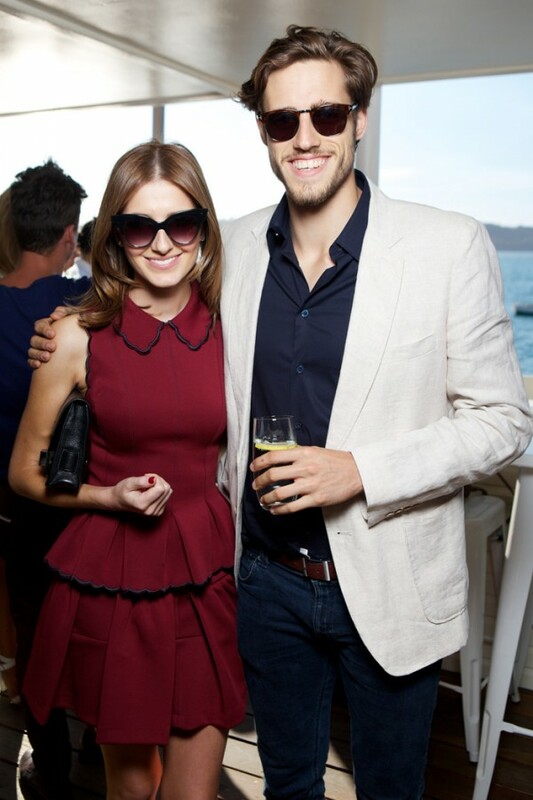 She also stars on the show Fashion Bloggers, airing on Foxtel’s The Style Network. She does all this in between studying a commerce/law degree at the University of Sydney. 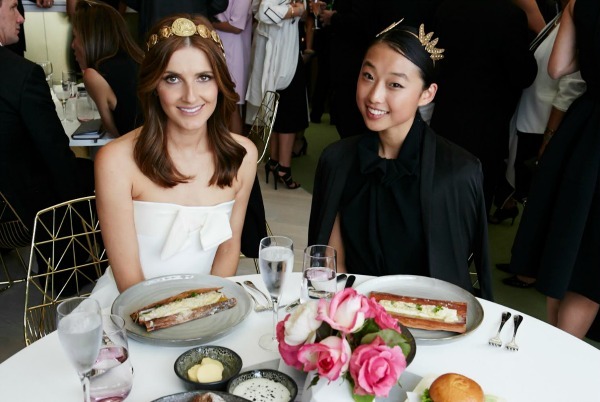 While attending Derby Day as an ambassador, Zhang told Kate Waterhouse about the life of a super-blogger, once wanting to be a ballerina and why she’s most often recognised in public while she’s eating. Tell me a day in the life of you. I start early, go for a run, do some yoga and then it’s pretty much my uni schedule. And then, if I have breaks, then I just fit in my fashion stuff in between that. Through your blog you get to travel the world and collaborate with huge brands, including Lexus. When you were younger, did you envisage your life to be the way it is today? Not at all. When I was little, I really wanted to be a ballet dancer. I trained to be a ballet dancer and was set to go down that path and then realised at 16 that it wasn’t as viable a career path – it’s 24/7. You really have to live and breathe it. You really have to sacrifice everything for it and the Australian industry for ballet is quite small as well. So I felt like there was more opportunity for me elsewhere … Through ballet I got into costume design and I got into photography during ballet as well, so that was my segue. I just started a blog because I was bored during my HSC years… I was doing music, but that wasn’t as creative as I wanted it to be. So I started a website with all these images. It was like a mood board at the beginning. Every second person seems to be a blogger these days. What do you think is the secret to your success? I think the secret is not to see it as success and to always want to improve. I think it’s important to have genuine, authentic, original content that nobody else has, not to emulate anybody else’s style and not to look around too much for inspiration from the same field. When I’m styling, creative directing and shooting, I look at things like architecture, times in history, ethnic groups around the world, different cultures and different landscapes, rather than looking to another stylist’s work. Because I think that gives you the freshest result: if you’re drawing from things that people wouldn’t expect you to, and I think also to have that engagement level. Being a successful blogger, what opportunities has it opened up for you? It’s allowed me to meet a lot of amazing people; it’s allowed me to travel a lot; but it’s also allowed me to grow in all my skills, and I think to prove yourself that you can still be good at a lot of things rather than specialising in one thing, which is what the industry is used to. What are you going to do when you’re finished university? Well, I use my law degree every day without realising, and same with my commerce degree. It’s just a really good way of understanding business and understanding what deals you’re doing and understanding how different organisations work, I think. As soon as I graduate I’d love to move overseas and work solidly in editorial or creative direction for a while. But eventually I’d love to work in media law or IP [intellectual property] law or copyright law. But will you always continue your blog? Yes, I always have my website because my readers are really interested in my journey rather than me as a person … I feel like I’ve made a lifelong commitment now. I feel like some people would be very upset if I stopped [laughs]. What advice do you give aspiring young bloggers? I say, “Not to want to be a blogger.” Because you can want to have a blog, but your blog doesn’t mean anything unless it’s a vehicle for something else. So your blog needs to be a showcase of – if you wanted to be a designer one-day, it can showcase your personal style but also throw in your insight on other designers. That’s what people are looking for. They want your insight on something. So it should never be a face-value thing. There should always be something more and that way it forces you to always want to improve. People say to me, “Oh Margaret, how do I become a famous blogger?” I’m like, “No, that shouldn’t be your goal. You should want to be a journalist or a photographer; one overriding skill, and your blog is a vehicle for that.” I think a lot of people see this glamorous world on Instagram and don’t understand that it’s part of a larger business. Did you ever think when starting your blog that you would be a star in a TV show? No, I never thought I would do a TV show. I’m not one of those people who wants to be famous. Not to say that I’m famous now, but I’ve never wanted to be the face of things. I don’t think that facial recognition is something that I ever strived for. I feel like I want more accountability in my actual work, more than anything. So no, TV was definitely not on the cards. But it’s interesting because my parents have never fully understood what it is that I do and I think the show has been really good for them; in fact, educating them in what exactly it is that I do. I think that was the main appeal for me with the show, because it educates people. You have over 287,000 followers on Instagram. You must get recognised around the world. What is that like? It’s actually really nice because sometimes I feel like I’m writing to myself online. It’s really hard to have that conversational tone, that colloquial tone with people when you don’t know who’s reading. And so it’s nice for readers to come up and be like, “Oh I liked this. I’ve been reading for years.” I like that personal feedback. Where’s the weirdest place you’ve been recognised? WE WENT TO Attica pop-up at the Lexus Design Pavilion, Flemington Racecourse. WE ATE Walnut in its shell, King George Whiting in Paperbark and Pukeko’s chocolate eggs. Jessica Gomes, Megan Gale & Montana Cox. Virgin Australia Melbourne Fashion Festival (VAMFF) Opening Event was a star-studded event. Models Jessica Gomes and Montana Cox hit the runway while, VIP’s including mum-to-be Megan Gale, Emma Freedman and Rachael Finch sat front row and took in the latest autumn/winter trends. 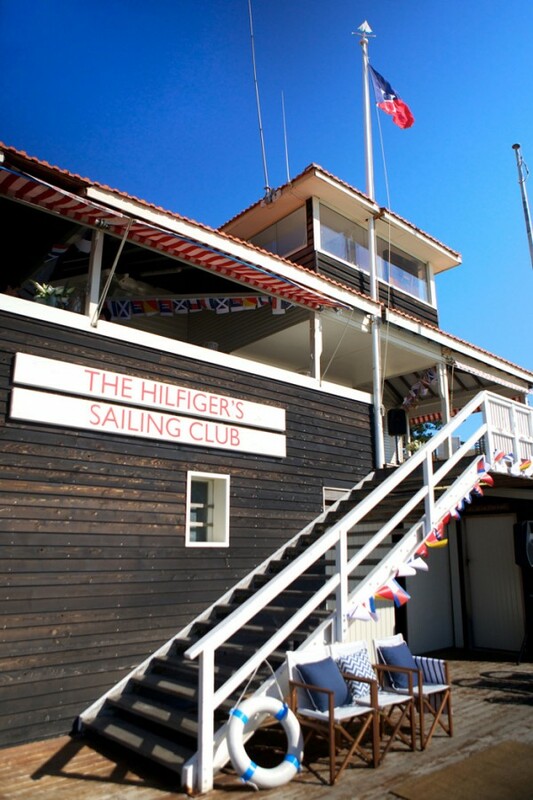 This week, iconic American retailer Tommy Hilfiger hosted sunset drinks to celebrate the launch of the Tommy Hilfiger Spring Summer 13 Collection, Le Voyage Seafar-ius, in Sydney Australia. 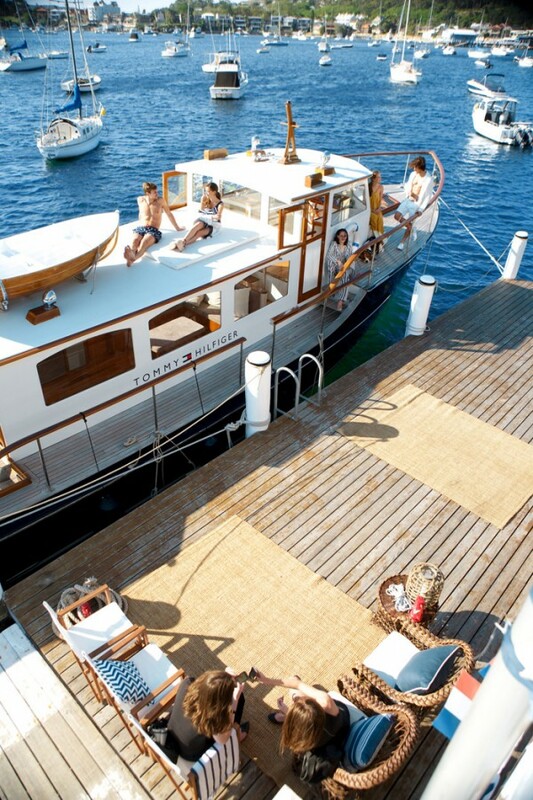 The event took place at the hidden Vaucluse 12ft Amateur Sailing Club in Vaucluse Sydney, with Poppy, a 57 foot wooden boat moored at the dock and DJ Cassette spinning summer tunes, guests enjoyed a thoroughly nautical Tommy Hilfiger Summer experience. Guests mingled and enjoyed catering by John Wilson of cookandwaiter and champagne by Laurent Perrier as the sun set over Sydney harbour.